Mak Plus Power Systems, SRV-MAK Series servo voltage stabilizer is used to protect electrical loads from sudden voltage changes that are not range of input voltage of the machines and electrical loads tolerance. 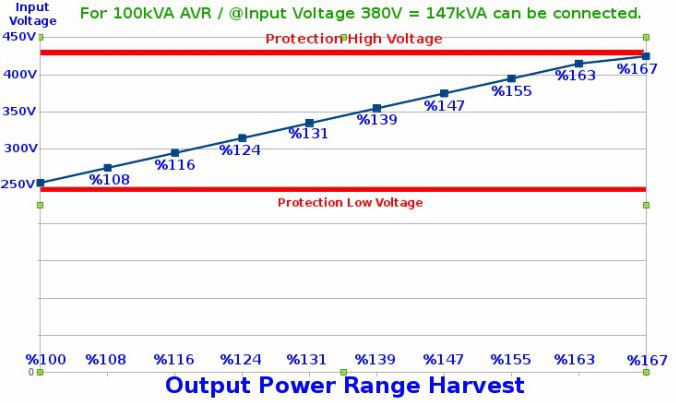 This is the reason, all loads needs voltage stabilizer not only for voltage stabilization also to protect loads from short circuits and electrical lightings. We supply voltage stabilizer for small house usage for boilers from 500VA till huge areas and factories till 6000kVA. 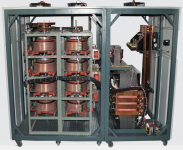 The servo voltage stabilizers have been designed for hard conditions. The voltage stabilizers can be produced with different features for your needs. The servo voltage stabilizer produced for protection from lighting , high voltage drops, high voltages, flickers and if needed harmonics as well. * Factory, hospital, hotel and apartment building main entrances. * And other places where stable voltage is required. * Magnetic devices. illuminating devices. * Sensitive photograph studio equipment and devices. * CNC machine tools. heating, cooling air-conditioning equipment. * All kinds of electronic embroidery weaving looms. * Wired and wireless communication devices. _* Factory, hospital, hotel and apartment building main entrances. * Radio television transmitter stations. * Laboratories with electrical and electronic devices and equipment. * Testing and research laboratories. Please let us know for your customized servo voltage stabilizer needs. We are developing the servo voltage stabilizer with you as well as our standard voltage stabilizer. _MAK Plus MSR Three Phase Full Automatic Voltage regulators are servo drive structure ,microcontroller controlled heavy duty devices which regulates mains voltage for critical loads. » MSR Hi Series 3 phase voltage stabilizers regulates mains voltage and brings many advantages. » 10 years spare parts support. Note: For more power range about our servo controlled voltage stabilizers please do not hesitate to ask us. MAK Plus MSR Mono Phase Automatic Voltage stabilizer are servo drive structure ,micro controller controlled heavy duty devices which regulates mains voltage for critical loads. All the stabilizers with microprocessors have 2 year warranty against production and technical defects. All the materials used in the regulators have certificates.